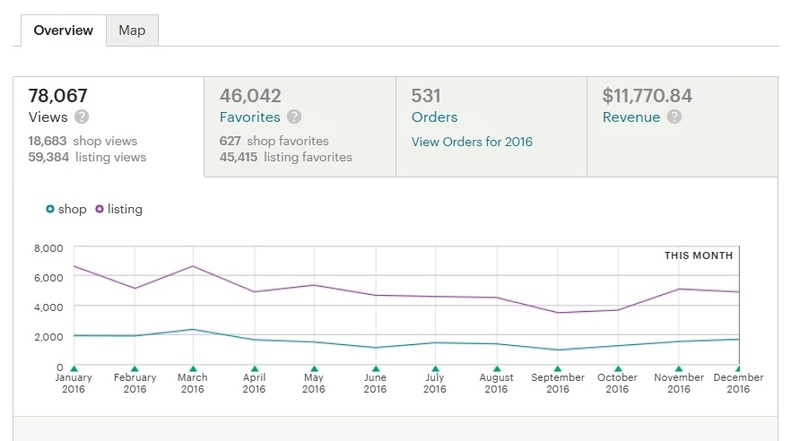 Let's face it: Etsy sellers like to know how our items are positioned in searches compared to the competition. Especially if sales and views are down. Sellers try to assess what is going on and how to fix it. Our position in search shifts all the time. Where are we today? Did we sell an item? (Bump up.) Did we get a bad review? (Bump down 😟). 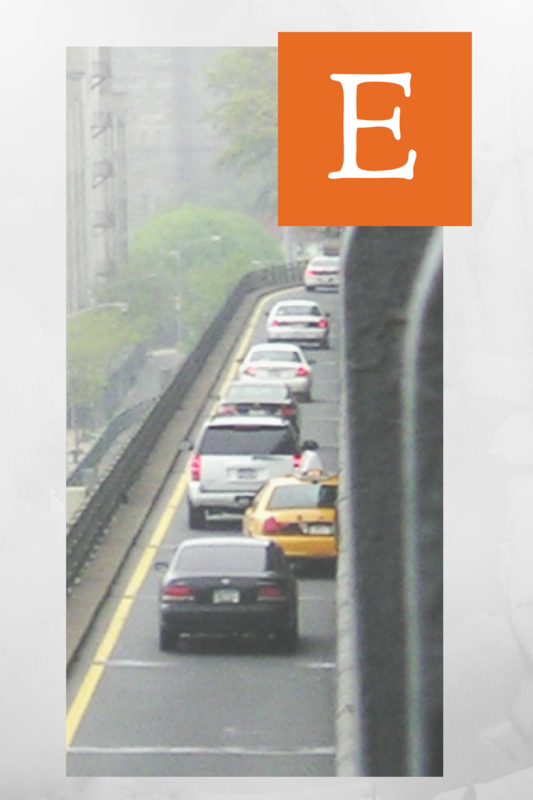 Etsy rotates shops around to different slots. An added benefit is that we can see how our photo(s), our visual item presentation measures up. We see that when our items are viewed among the other offerings that buyers see when searching. No, I can't tell you exactly how to find it. 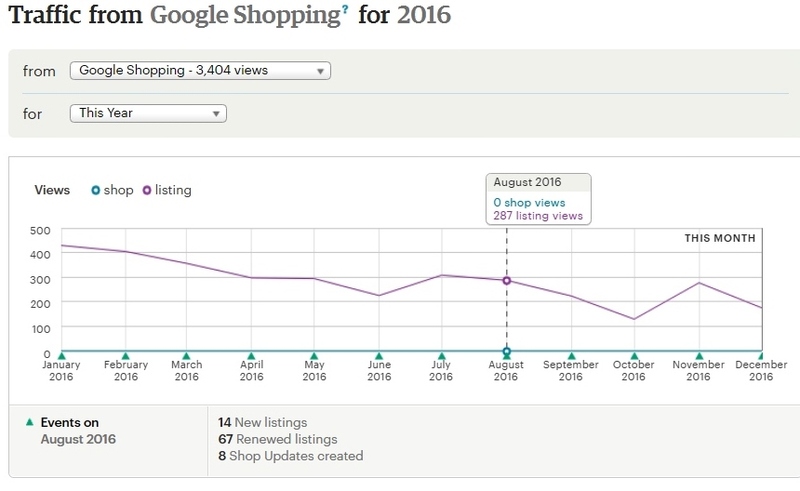 Just keep doing searches to survey how your different items fall within search. A search should eventually present itself that will serve the purpose of a useful test search for you. If you're diligent and fortunate, more than one will work. I'll share one of mine. I'm a vintage store in Maine. 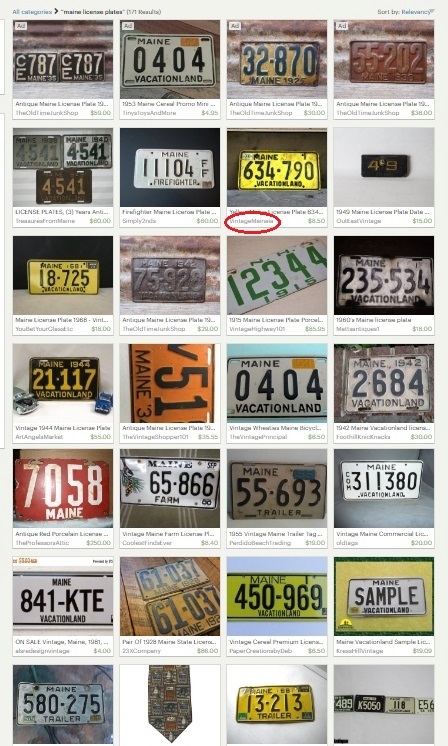 I sell vintage Maine license plates. 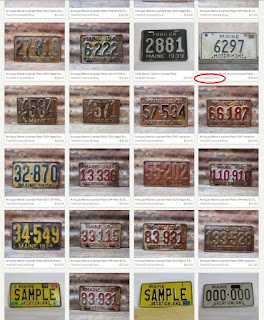 "Vintage Maine License Plates" works as a test phrase for me. There are four pages of results right now. They are dominated by one seller with a lot of plates (not me). This shop uses the same background, so it is easier to see how my items are placed. There are four pages of total results. That is enough to be informational for me, without being overwhelming. After the four ads (only present if a shop is paying for them) we can glean some more information. In my case, there is another shop's license plate. Then two of mine. Then it alternates: my shop, then another for a few slots. Then it's the dominant seller (also happens to be the advertising shop) in this search. So we are done with page one and on to page two. What do we see here? After the featured items (all by that one seller) there are three shops before my item. Then another shop's item followed by one of mine. Then it's (snooze) that same seller, all the way to the bottom of the page. way down on each of those pages. 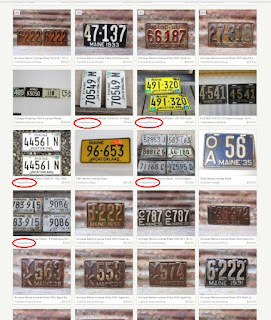 Another way to test search is to use an app like EtsyGadget.com. You add your search terms into the field. 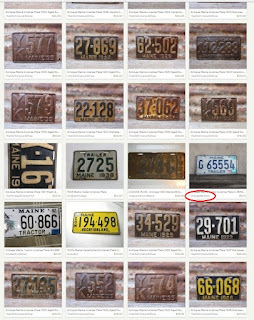 After a short wait, out pops "best tags for search tag 'vintage Maine license plate.'" There can be some useful alternate tagging ideas. After that is a breakdown of where we fall in search results. Rather than the visual search method I just described, this is written: "position 34 on page number 1." Some sellers prefer it this way. Hard (written) data can be kept and referred to over a period of time. A great brand-new way to do this is through EtsyRank. They have released a new app (the day after I first posted this blog, in fact.) 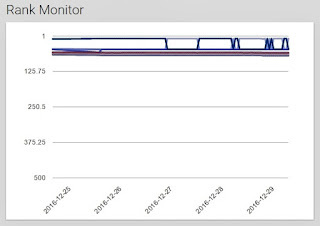 It is called the "Monitor Tool." 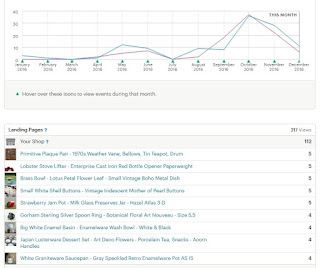 From developer Anthony: "With the Monitor tool you can see what pages your listings are found on. 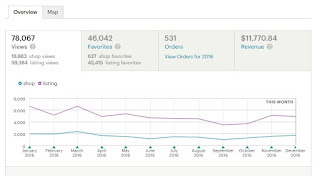 You specify your most important search terms and every hour EtsyRank will update the report and store the rankings for up to a week." My graph is for the same license plate search. It will work better for a broader search. I'll be trying that next. 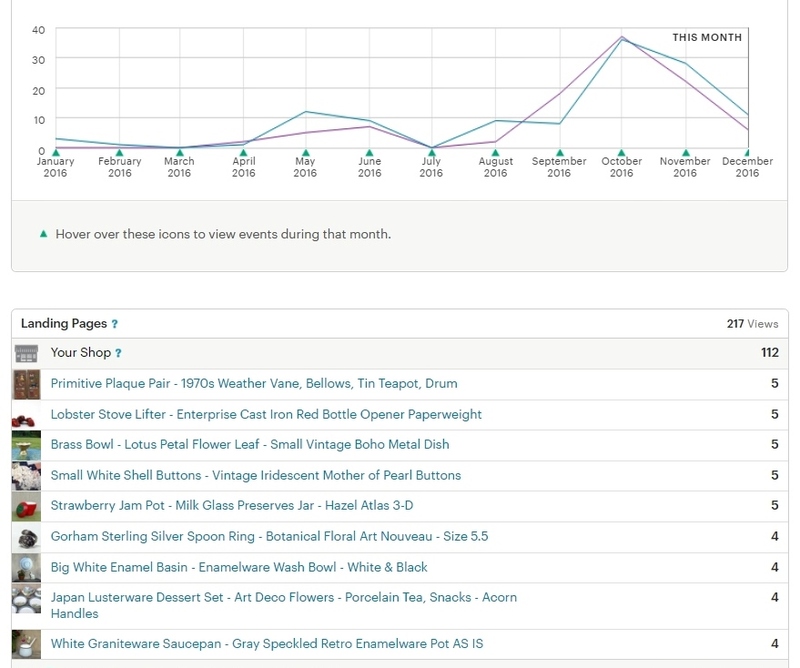 Right now, EtsyRank's Monitor Tool can only be used to check up on one keyword phrase. There are plans to expand that in the future. I will still be searching manually. How often should I test search? Once you have found a good test search or two, perform them. Repeatedly. Early in the day, later in the day, every day. Try it on different devices. Try it on a device someone else is using. The more you do it, the more you can see and learn. You might be surprised. Or if you're using an app, let them do the tests. You do need to review the data periodically. On EtsyRank, that's every week at least, which is as long as they keep the data. Etsy's algorithm changes up results all the time. Even the relative positions of my own items to each other will vary. On the graph, you can see my items changing position. What happens when you renew an item? What happens when another shop renews their item? What happens when you sell this type of item? How different are the results in incognito mode? 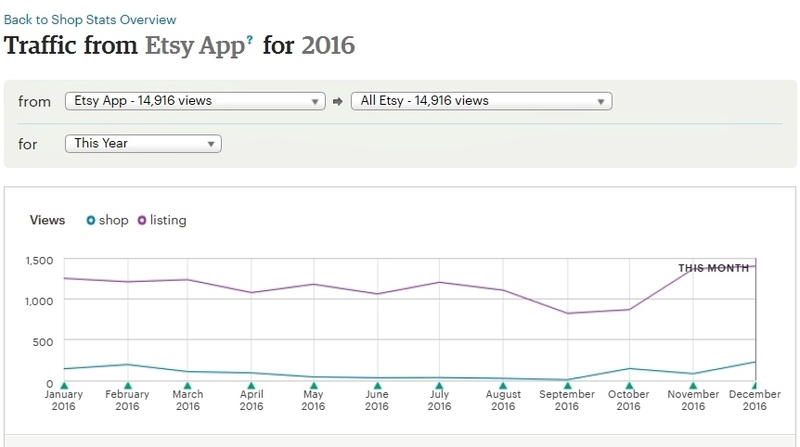 It is important to understand what we are seeing in Etsy's search results, and why. My next post will get into that some more. We will delve a bit into the Algorithm. Are you ready? 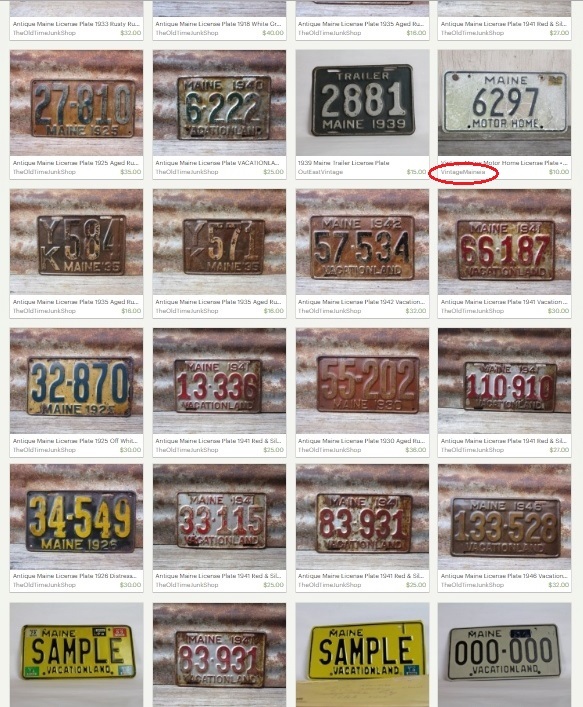 Our tags and titles are the best way to get found on Etsy. A buyer enters search terms. We will be seen in search results only if we have put all of the words the buyer uses in our titles and/or our tags. Where will our item be within the search results? On the front page? Or buried way at the end? What determines that? How do we improve our placement within search results? First, be sure to place your items into the proper category. 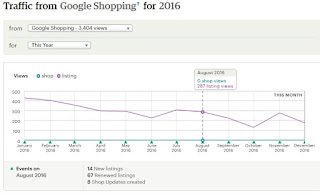 That's a shortcut to getting found because buyers so drill down when searching. I know that I do. In the results of a big search, we will have a maximum of one item on the first page. That is, until every shop has had their chance to shine. 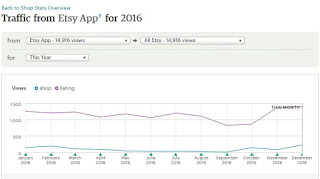 That's how Etsy de-clumps results and provides a measure of fairness to all shops. 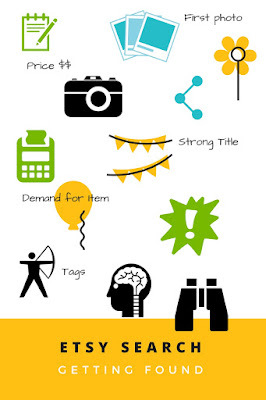 The better our title and tags match up with the buyer's search terms, the higher within the results we will be. Also helpful is if the item has a higher degree of buyer engagement. Shoppers click on it and buy it at a higher rate than other items they are presented with. But you're determined not to do that. What else can be done besides paying ad fees for preferred placement on Etsy? My sad license plate is near the end of search. If a search has one page of results and we are 1/3 down, our buyer only has to scan 1/3 page before finding us. What if the search returns 100 pages of results and we are 1/3 down, at page 33? Not much hope of being found. What do we do? 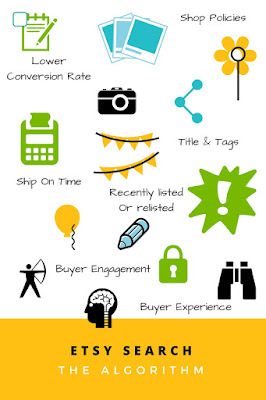 When a buyer enters only a few search terms, say, one or two words, getting found can be difficult. We shouldn't assume that it is impossible to be found that way, but harder. If our buyer enters 3-5 keywords, that is better. 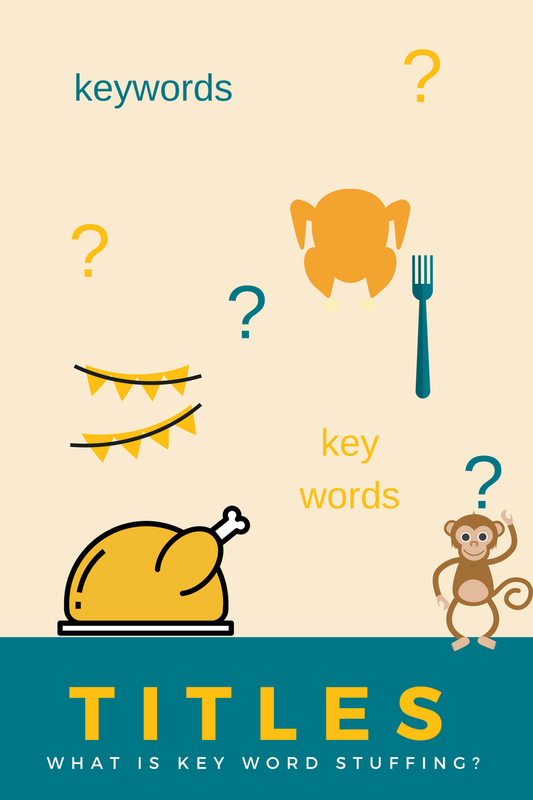 A group of that many words is called a "long-tail" keyword. Be sure to consider what longer keyword combinations potential buyers may use. 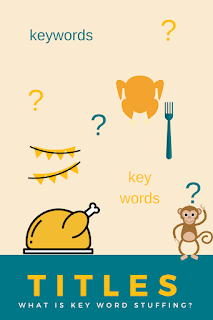 It is not a bad thing to include both types of keyword types, both the shorter and longer. All right, enough for today. My next post will be about the basics of test searching. After that... (drum roll, please) The Algorithm.